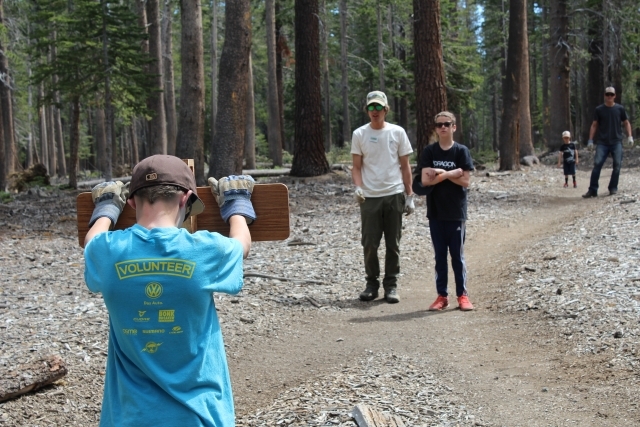 Once again this year, Friends of the Inyo worked with partners MLTPA, Mammoth Lakes Recreation, the Town of Mammoth Lakes, and the Inyo National Forest with funding from Measure R to put on a series of volunteer events on trails and at popular places around Mammoth Lakes. 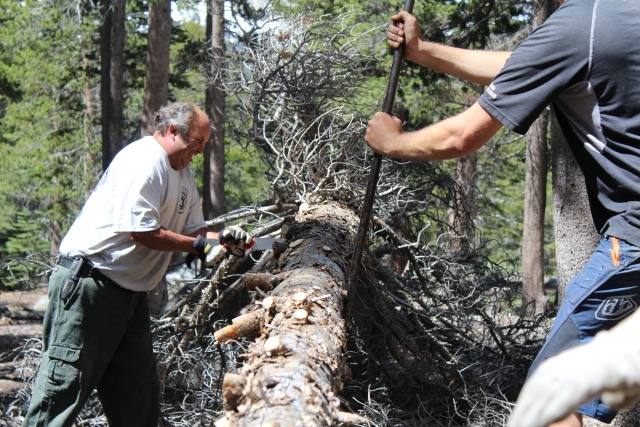 In June, for National Trails Day, we signed trails, cut logs, and did other trail work around Panorama Dome. 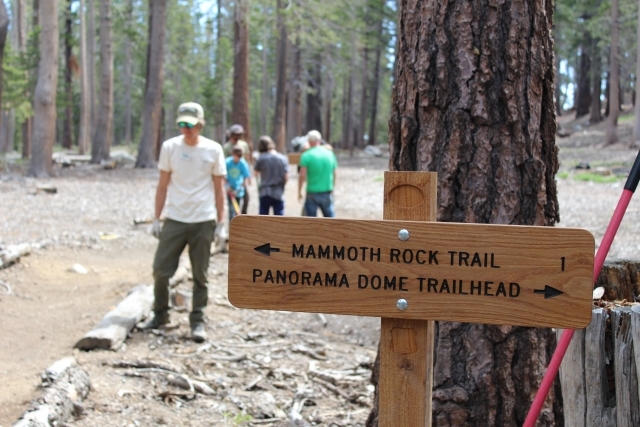 In August, for Mammoth Lakes Trails Day, we worked on trails around Earthquake Fault. 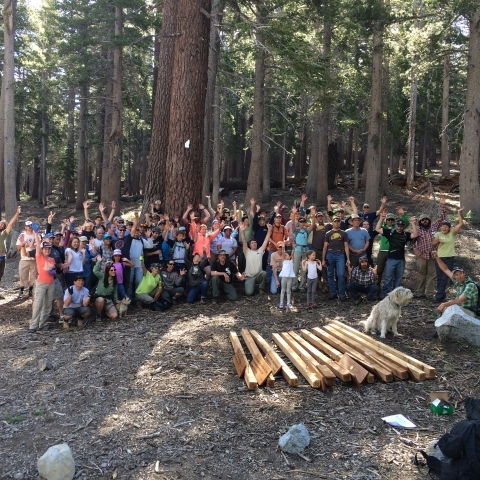 The final day, the Great Sierra River Clean Up took place in September. The Great Sierra River Clean Up has taken place in the Mammoth Lakes Basin for several years now, and we noticed this year that there wasn’t as much trash out there. It looks like we’re making a difference out there. 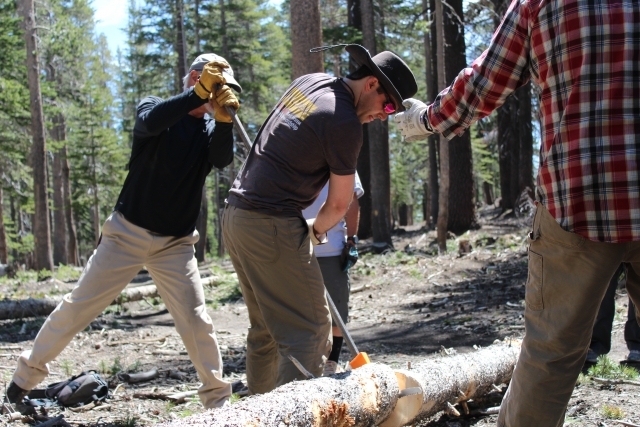 Thanks to all of the volunteers and local business that helped support such a fun and great way to care for trails around Mammoth Lakes.